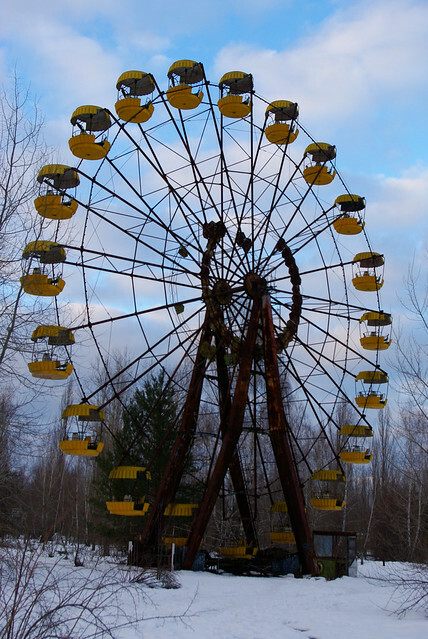 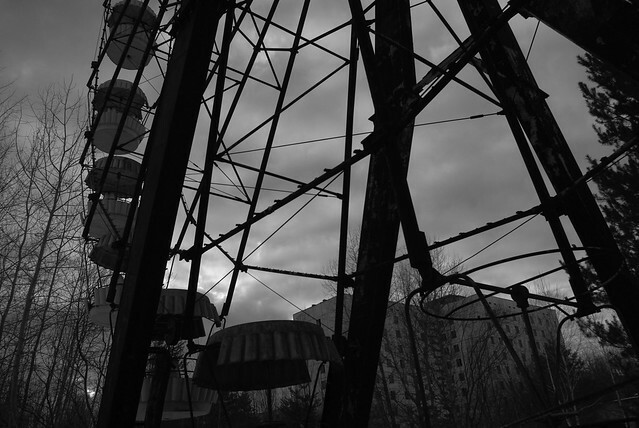 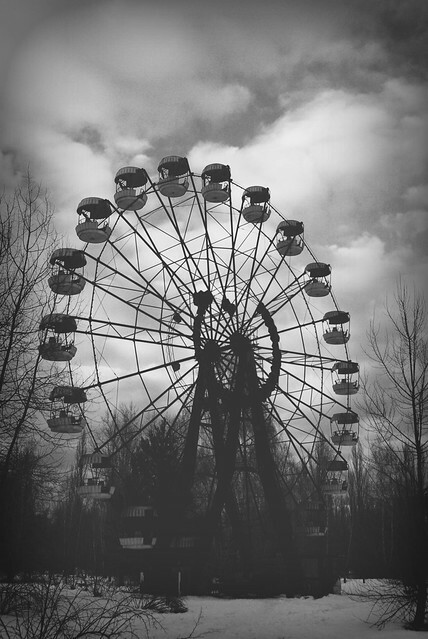 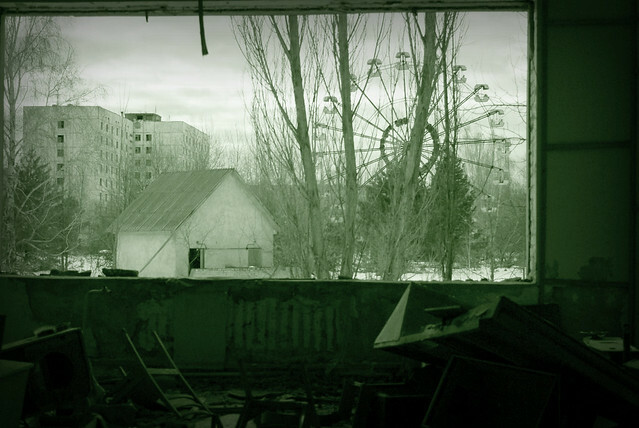 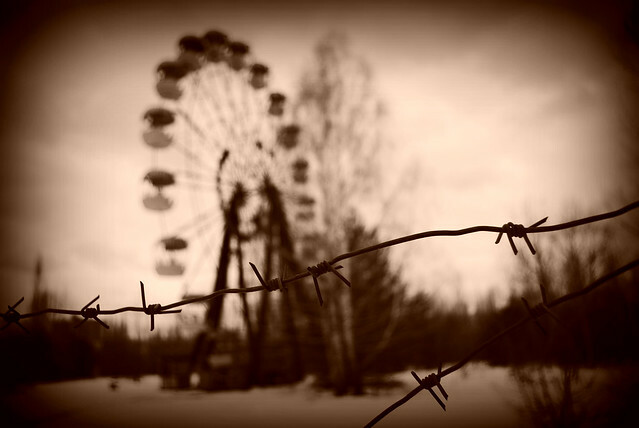 Such an iconic part of video gaming history (discuss amongst yourselves the rights and wrongs of this) is Pripyat's ferris wheel which features in Call of Duty 4 and Stalker: Shadow of Chernobyl. 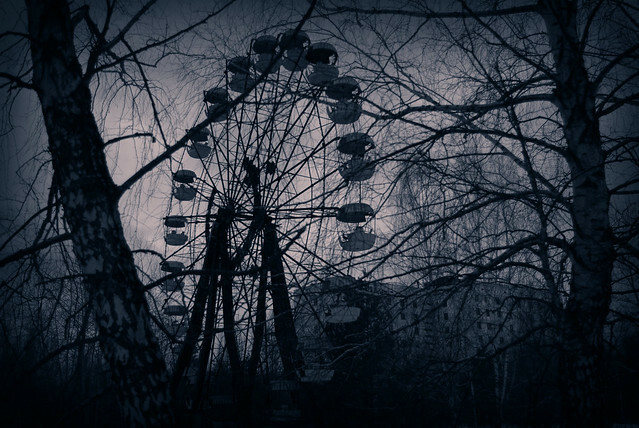 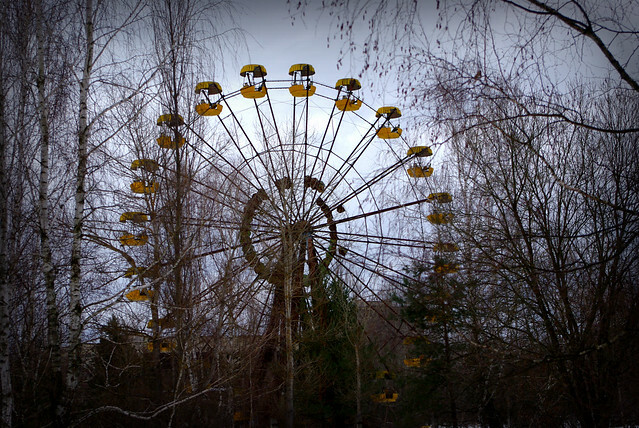 Sitting behind the Palace of Culture in Pripyat City, the ferris wheel was installed for the May Day celebrations of 1986 and sits slowly being enveloped by the trees that are now slowly reclaiming the city. 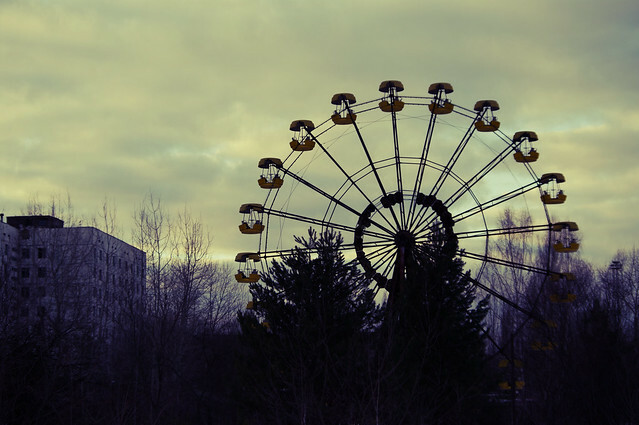 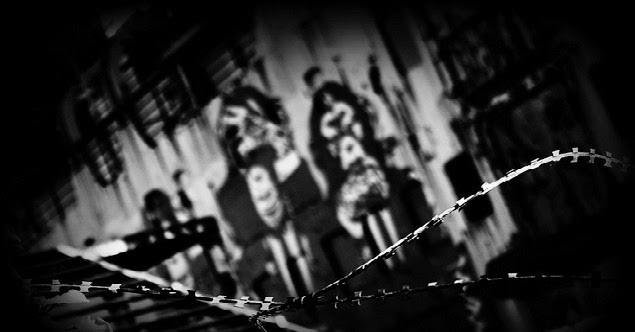 All visitors to the city will forever remember gazing upon its majesty as it sits in the silence of the city, missing its laughter and screams of the celebrating crowds.